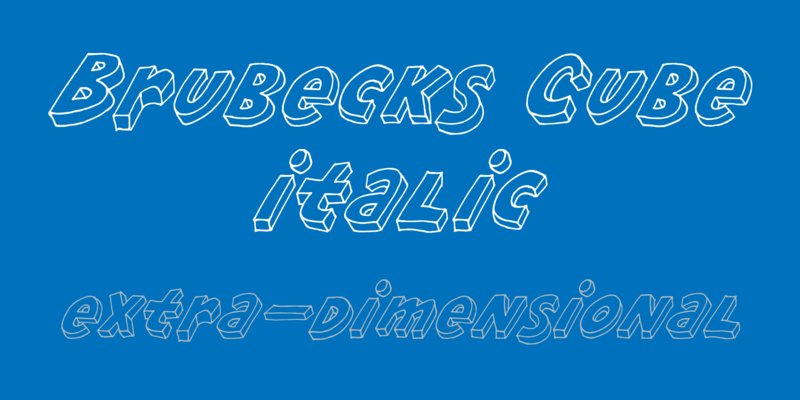 Brubecks Cube - Chank Fonts! Brubeck’s Cube is one of Chank’s most fun display fonts yet, and it comes at the expense of great sentimental value. The chunky and kinda clunky characters harken back to the days of junior high. They’re the kind of letters Chank was scrawling on his notebook when he was Florida’s “Rubik’s Cube Kid.” At 13, Chank learned how to master the Rubik’s Cube while selling fake cubes at the flea market for his get-rich-quick-schemin’ father. He eventually won a Rubik’s Cube contest at the mall, solving the puzzle in less than two minutes. His mug showed up on the evening news as he beat hundreds of other contenders to take home a case of Ale 8 (a test market soft drink) and the grand prize of $500. He bought a Raleigh bicycle with his prize money. 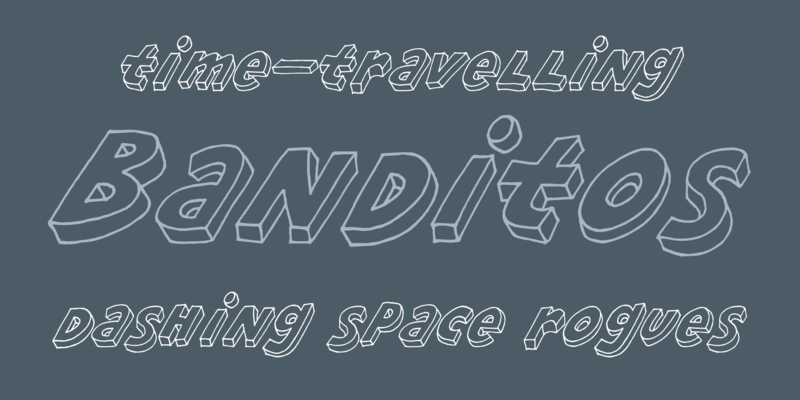 The good nature of this font also conjures memories of happy care-free days. It makes Chank think of his grown-up life as an artist, rolling around town in a fully-loaded, near-mint 1979 Cadillac DeVille with an 8-track of Dave Brubeck’s Greatest Hits as his soundtrack. Not a care in the world, just floating along in his big boat listening to a sweet little jazz ditty on the factory-installed quadraphonic stereo. It’s a bit silly and sentimental, isn’t it? Kind of impractical? Somewhat self-indulgent? So what! It makes you happy‚ just like this font! Inspired by homemade garage sale signs, the fun, hand-illustrated design of Brubeck’s Cube is quintessentially Chanky. It’s a poster font that communicates clearly in a humanist style. Use it to create pretty good 3D effects with a stylish color palette. This font works nicely with Chank’s Eat Well Chubby font.